Five ounces. That's the magic number. Too much and our car would be disqualified. Too little and the other cars might out run us just a little too easily. Before the race, I told my son Michael that winning wasn't necessarily our goal. "All that matters," I said "is that we run a good race. 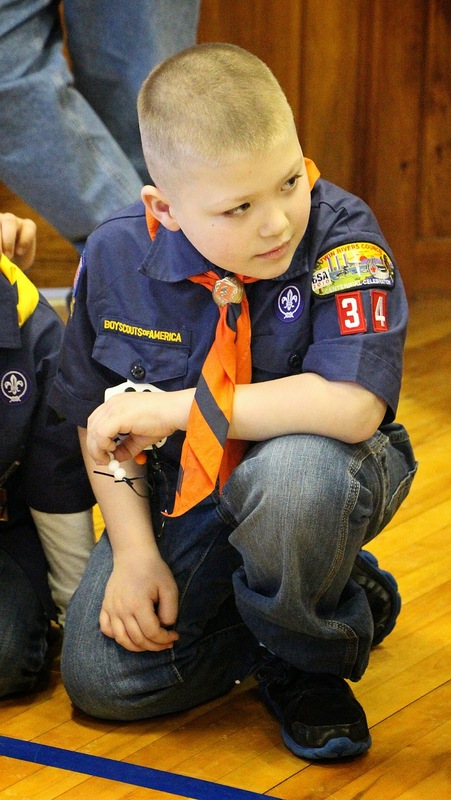 If you lose be sure to hold your head high, and shake the hand of the scouts who beat you." That's not to say that I expected my son to lose. Going into the derby, I thought we had a good design, especially given that we had never before competed in the Pinewood. My boy was fairly insistent that the car resemble the Bat-Mobile. Not terribly original, I know, but I looked forward to the possibilities. I enlisted the help of a friend whose shop is equipped with a band saw and a router. He took our block of pine, and shaped it into an interesting amalgam of old and new; our Bat-Mobile was every bit of Adam West, a hint of Michael Keaton, and just a touch of Christian Bale. My son finished her off with some light sanding, a few coats of Caped Crusader black, the mandated BSA (Boy Scouts of America) wheel set, and some tungsten putty shaped into a windshield, headlights, and afterburner. She weighed in at 4.9 ounces with most of the weight concentrated just in front of the rear axle. I tried not to be too hopeful. But on the day of the race, the Bat-Mobile streaked across the floor of our local VFW and won its first three heats in rather convincing fashion. I began to believe, and so too did my son. At only six years old, he's yet to learn to hide his emotions. When he's happy, we know he's happy; when he's sad, we know he's sad. He doesn't spend too much time in the colorless land in between those two poles. He's either on or he's off, and for those first few races he was as happy as I've ever seen him. Unfortunately, Mikey went on to lose three of the next five heats - effectively eliminating the Dynamic Duo of bug-chucking father and dark-knight son from the competition. My boy was crestfallen and on the verge of tears throughout the remaining races. He had tasted victory, but finished in defeat. Courtesy of the triple elimination system, the winner of the division had only three wins over my son while my son had five wins over his competitor, and Mikey just couldn't get his six year-old mind around the math. He struggled with losing not because he was defeated, but because he had won the most races. I did my best to console him; I told him I was proud, that his car ran a great race. For my part, I was stung not because he lost - I knew this was a good and necessary lesson for my boy to learn. I hurt because my son hurt. I hated to see him disappointed. Seeing my son so upset, I could not help but to reflect on my own disappointments. Lord knows I've had my share; many of them streamside. 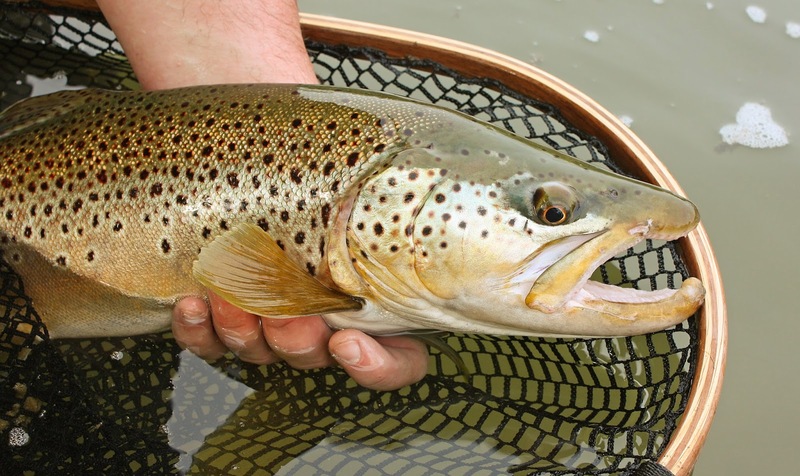 Over the years, there have been any number of fish, trout and steelhead for the most part, that have left me shaking and near tears. 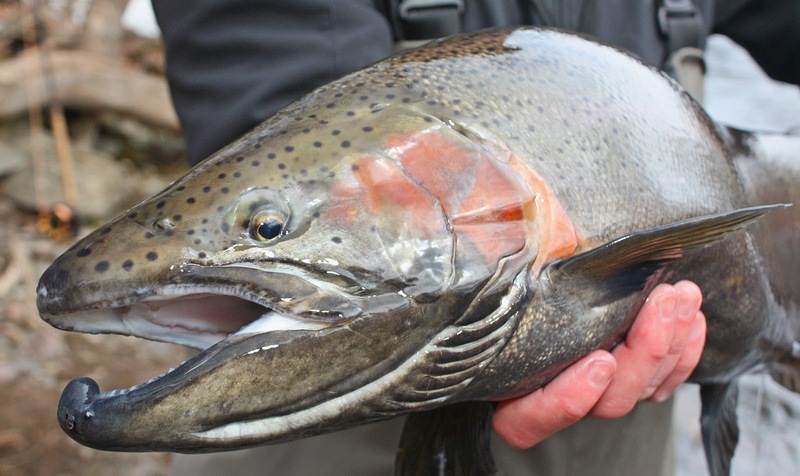 If I was so inclined, I could speak of the first and largest steelhead I have ever hooked, or regale you with a story of that brown on the _______ River that bent straight my hook, not once but twice. I can recount more stories than I care to admit, but as I sit here reliving those moments I find that my greatest disappointments aren't those fish, those many fish, that got away. In a strange way, I cherish those memories. Perhaps as much as anything else, those moments are the reason I continue to wade the river's fickle currents. 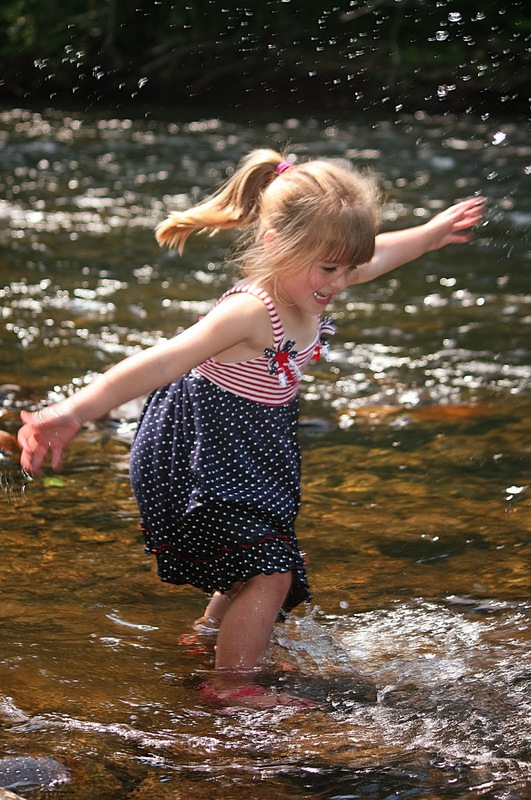 In thirty odd years of wading those currents, I've come to understand that the river never disappoints. Rather, the sadness I sometimes feel when I step from river to river bank comes as a consequence of my own unreasonable or unseasonable expectations. More often than not, my disappointment is the result of allowing myself to be distracted by the mundane pressures of the day. Sometimes I think I seek out that sadness if only to be reminded of how ridiculous it is to be sad when surrounded by water and woods. The trick, I suppose, is to deal with disappointment in a such a way as to learn from the experience and to keep sadness from taking root and blooming into regret. And those are the lessons I want for my son to learn: take loss in stride, focus on the things that truly matter, live without regret. Of course, I would have preferred I had the opportunity to teach him those lessons streamside than on the warped hardwood floor of the local VFW. The water softens the blow. When I was a younger man, few things mattered to me quite so much as fishing. My schedule was decided not by life's most necessary pursuits (education, gainful employment, meaningful relationships, etc.) but entirely by the pursuit of fish with a fly rod. Trout, steelhead, bass, carp - any fish was fair game provided I could coax it into moving to a fly. And when I wasn't on the water I was tying flies; when I wasn't tying flies I was planning my next trip. College courses were scheduled around major hatches. I worked nights so that I could fish during the day. 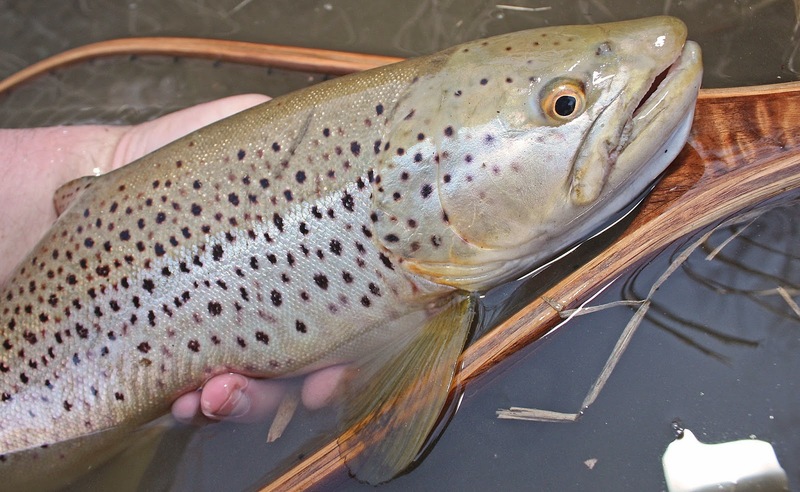 I caught the biggest brown trout of my life on a day when I played hooky from both graduate school and work. Contrary to everyone's expectations - except for perhaps my wife's - marriage did little to change my habits. Throughout our courtship (if they still call them courtships) my wife tolerated - sometimes even indulged - my obsession with all things piscatorial. It was she who first suggested I take a trip to Montana, and later encouraged me to make that trip some seven or eight times. I like to think she wanted to see me happy, but just as easily I suppose she could have been using that time to find another husband. I didn't much care; I was in Montana. If God exists in the world then Montana - western Montana in particular - must be his backyard. For a bug chucker, Big Sky Country is like a shot in the neck with some manner of powerful antibiotic, an inoculation against those days when we are not out in the world doing that one thing we are truly meant to do. When I returned from my last trip I did so knowing that I might never again see such big skies; I knew that the memory of Montana would have to sustain me for years to come. My wife and I had decided to buy a house, and we were going to try to have a family. On February 15th of 2007, our triplets came into the world, kicking and screaming and - at 4 lbs 8 oz, 4 lbs 10 oz, and 4 lbs 12 oz - just slightly underweight. If I'm honest with you and with myself then I have to admit that I did not take to being a father, at least not right away. I had never so much as held a baby before the doctor placed one of our precious little girls into my reluctant hands. In that moment, all the clichés about being a father were true. I was simultaneously terrified and desperately in love. I wanted to shout my joy to the rooftops and crawl into a dark corner and cry. I had no idea how I would do it, but I wanted to give the world to my children. I started by giving my daughter a little piece of God's backyard: the Madison River. Maddie playing in the Battenkill ... I thought about naming my son for the Kill ... bad idea. In short order, however, all the romantic notions about fatherhood quickly gave way to the reality of caring for three newborns. Together, my wife and I fed the children 24 bottles of formula per day. We usually changed in excess of 30 diapers - often two or three at a time. We were assembly line parents working overtime. My wife handled it all with aplomb. While I floundered and fumbled my way through the early years, she was a maternal warrior fighting and winning a battle she had trained all her life to fight. Most days I was in awe of her while quietly brooding and dwelling on one simple question. My frustration and apparent ineptitude could only mean one thing - that I was not meant to be a father. On even the best of days, I was overwhelmed to the point of teary-eyed exhaustion. I could never tell what it was my children needed whereas my wife seemed to operate on some preternatural plane, a place where the kids communicated with her via clairvoyance and astral projection. She was the baby whisperer, and I felt like Jo-Jo the Idiot Monkey Boy. And then something happened. I'm not sure quite when and I cannot put my finger on why, but at some point along the way I started to get it. I began to see fatherhood for what it is and - perhaps even more to the point - for what it could be. Maybe because my kids had grown a little but probably because I had grown a lot, I discovered the joy of being a dad. Most days I still felt like Jo-Jo, but I realized an odd satisfaction in being perpetually bewildered. I'm not sure what all of this has to do with fly fishing. Probably nothing. Maybe everything. All I know is that just yesterday I was tying flies, and my son crept quietly into the man-cave and startled me with a question. "Hey Daddy, want to go upstairs and play Legos?" I did the only thing a man who is both a bug-chucker and father should do. Just a quick FYI for anyone that might be interested. Pat Cohen of deer hair and bass bug fame, is running a bit of a special for his customers. 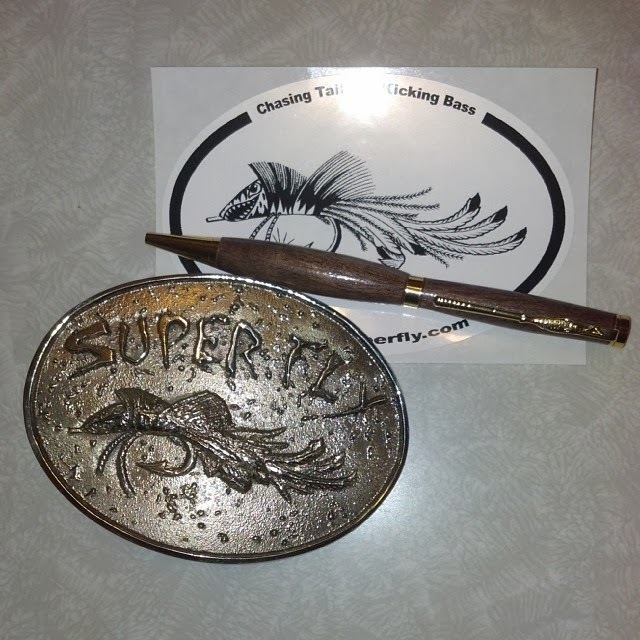 Seventy-five dollars gets you a limited run, bronze belt buckle made by Ben Jose of Benjamin Bronze Studios, a hand-turned hardwood pen made by Pat's brother Chris Cohen, and one of Pat's R U Superfly decals. Separately, these items sell for nearly $100.00 ... a good deal for some sweet (and nearly unique) American made schwag. If you're interested, Pat may be contacted through his website RUSuperly.com or his Facebook page.